Dibond is also available in square format to give your home a trendy look. 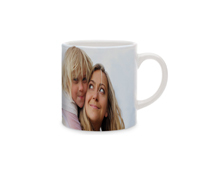 Your photo is printed direct and in very high quality on a composite aluminium panel. Sturdy yet lightweight, the Dibond gives a matt finish which preserves your photos’ colour intensity. The understated elegance of this option lends it to any style of interior décor. Professional photographers often use Dibond to print their shots. 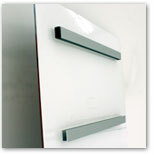 Our Photos on Dibond include a discreet mounting system on the reverse. Creating your photo on Dibond is fast and easy. The only tricky bit is choosing your photo! Your portrait photo on aluminium. Matt finish and colour retention. Your landscape or group photo on aluminium. A popular choice among photographers. Dibond®, an aluminium panel tailored to your photo measurements. 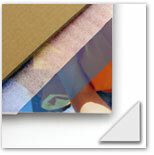 Make a big impression by splitting your photo over several Dibond® panels.